Should you migrate your entire accounting history to Xero, KashFlow or Clear Books? 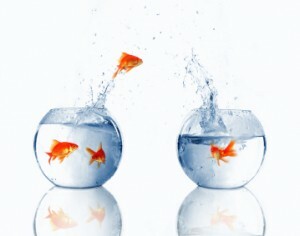 Are you looking to move your accounts from Sage or QuickBooks to Xero, KashFlow or Clear Books? It’s a move many small businesses are making. They benefit hugely from the extra convenience and functionality that online accounting software provides. The easiest approach is to transfer your financial position to your new system on a single day, without bringing across all your historical transactions. This is a fairly straightforward approach. It will normally make sense to do it at a month end (or quarter end if you are VAT registered). You first need to copy across your balance sheet and then any unpaid invoices. The unpaid invoices are important because you will have cash coming in or out over the subsequent months that need to be matched against invoices that were raised in the days of the older system. If you want help with the transfer we can usually do this for £80 + VAT and get it all done within 24 hours. You might also want to consider an automated option provided by a company called MoveMyBooks. For £90 they provide quick and easy migrations from Sage to Xero. It may be that you want your entire accounting history copied over from your old onsite history to your shiny new cloud based system. It’s something we have helped clients with numerous times but it’s a big undertaking. Unfortunately it’s expensive (£500+) that’s is because it takes a lot of man hours. We hope that in the next 12 months MoveMyBooks will develop a system to do it automatically but they’re not there yet so for now you have to manually copy across all the invoices, adjustments and then reconcile them to the bank statements. Sadly there’s no shortcut. If you are set on doing this then do get in touch and we’ll provide you with the best quote we can to get you fully set up as if you had been using your old system all along. Do you really need to move across all your accounting history? You’re old data will still be there on Sage or QuickBooks. Okay they’re no fun to use but as long as you have good backups that data is not going anywhere. As long as you set up everything right on the migration date the future accounts will still be right whether you bring the history with you or not. What about losing easy access to comparative data? While I was putting together this blog post I spoke to a business owner keen to transfer there entire history. There concern was that in time they may want to sell the business and will need a consistent financial history to support their claims about business growth. Putting my due diligence hat on I can very much understand this sentiment. What I would say though is that it’s pretty normal for growing companies to change accounting systems. It does make the due diligence process a little bit harder as you need to map two data sets but managed well it shouldn’t be any problem. Due Diligence accountants love to see monthly profit and loss accounts and balance sheets it’s easy to use them to spot trends and identify areas for further investigation. If Xero or KashFlow is setup with the exact same accounts structure as has been used previously in Sage or QuickBooks the different systems should’t be an impediment to due diligence. Ultimately they’ll want everything in spreadsheet form anyway. At Caprica Online Accountants we’re highly experienced in moving clients to Xero, KashFlow and Clear Books. If you want your businesses migration handled by a pro get in touch and we’ll ensure the entire process is stress free and the new system is set up exactly to your requirements. It doesn’t have to be all or nothing. Often people take other routes. Or just migrating all data from a specific date. Useful if you want unpaid invoices int he system so you can use automated credit control and so on. Thanks for the comment Duane. It’s a good point. It also reminds me that I forgot to mention your free of charge Sage to KashFlow import tool. Nice post Tim, do understand why history for a business owner is important, however this is usually a request from a finacial advisor or mentor (unfortunately most owners are busy ‘in’ their businesses). Can’t promote Xero enough for any small business, it’s the ‘change’ that’s the challenge – personally ‘get over it’ – Nothing on the market comes close to live accounts accessible 24/7 from anywhere AND GST forward adjustments with Depreciation and Roll Back options – gotta be mad not to use Xero! I have had the “history v clean start” conversation many times, so fully understand your sentiments with this post. At http://www.movemybooks.com we have opted for the clean start approach for the first release of our Sage to Xero conversion software but we are already working on conversion of full transaction history. Questions then arise though about how far back to go? And also how much post-conversion tidying up work would be acceptable for our customers? – since Xero’s API does now allow us to do everything we need to do for full history replication. I guess we’ll end up offering users various options and let them choose what they want.